Welcome to All Sensors “Put the Pressure on Us” blog. This blog brings out pressure sensor aspects in a variety of applications inspired by headlines, consumer and industry requirements, market research, government activities and you. In this blog we’ll look at WEBENCH and how it can help design a pressure sensing circuit. 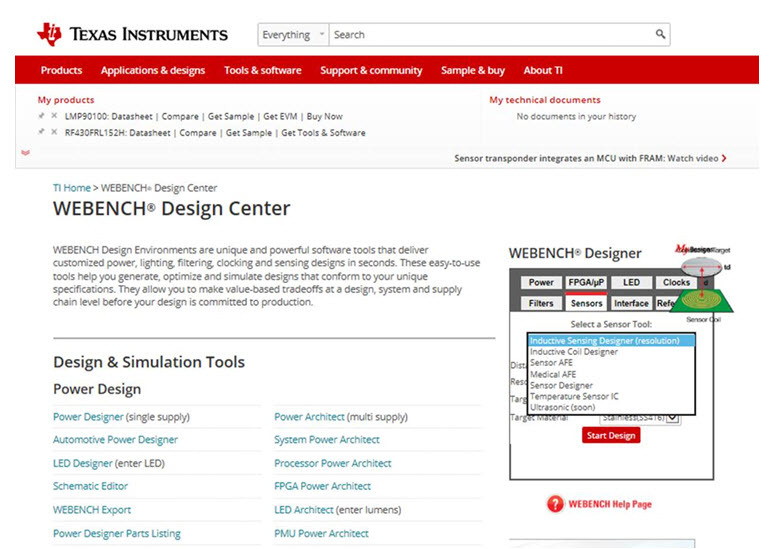 The WEBENCH Design Center from Texas Instruments provides several online techniques to simplify interfacing pressure sensors and other products. By selecting the Sensors option from eight possibilities on the homepage, then the SENSOR AFE (analog front end) from the pull down Sensor Tool menu and then Pressure from the eight sensors options, you access a list of pressure sensor manufacturers and part numbers with over a dozen parameters identified. Selecting a specific sensor such as the 1 INCH-G-BASIC sensors from All Sensors Corporation leads to a screen with the LMP90100 and the selected sensor. With this screen you can select from nine application parameters and see the performance of the design. The LMP90100 is a highly integrated, multichannel, low-power, 24-bit Sensor AFE. Estimated device performance of the sensor and AFE combination is indicated by Input Referred Noise, ENOB (effective number of bits), NFR (noise-free resolution), Current, and Device Error. Pulldown menus and tutorials allow you to modify several aspects and hone in on the right design. 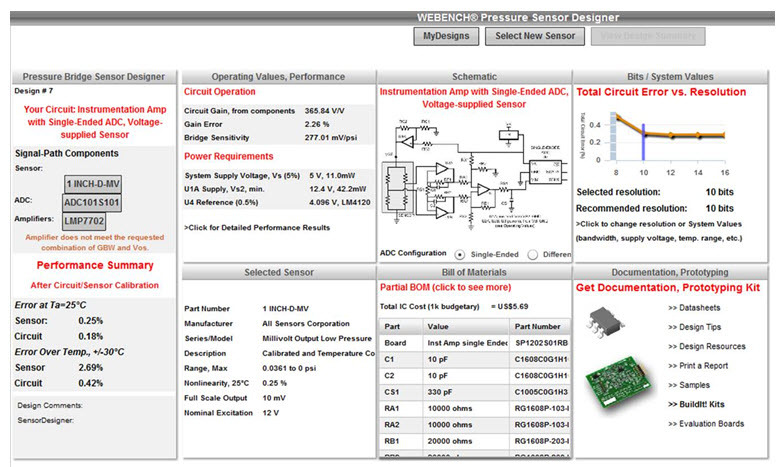 Another design path starts by selecting the Sensors option from eight possibilities on the WEBENCH Design Center homepage, then Sensor Designer from the pulldown Sensor Tool menu and then Pressure Sensor Amplifier Design from the three options. 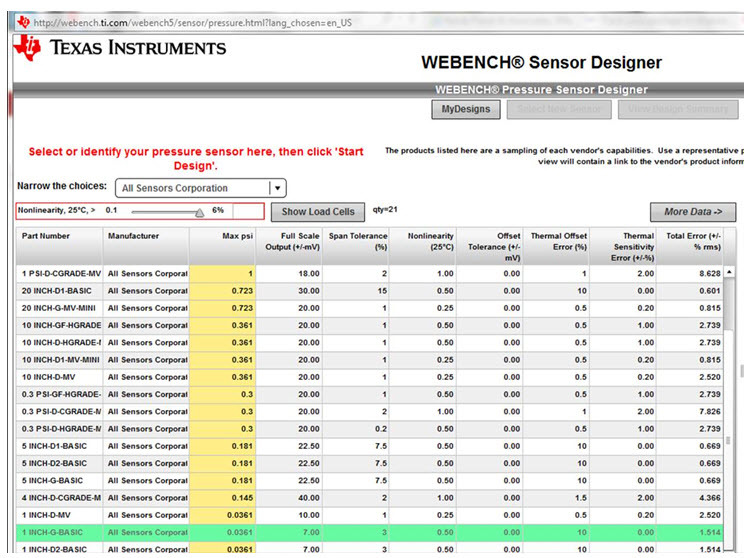 When you press start design, you access the WEBENCH®Sensor Designer. Once again, you can select the sensor supplier and the sensor for a specific application. For this tool, you can narrow the search to a specific sensor supplier from four suppliers. For example, selecting All Sensors Corporation provides a list of 21 products ranging from 1-inch of water to 15 psi to select from. 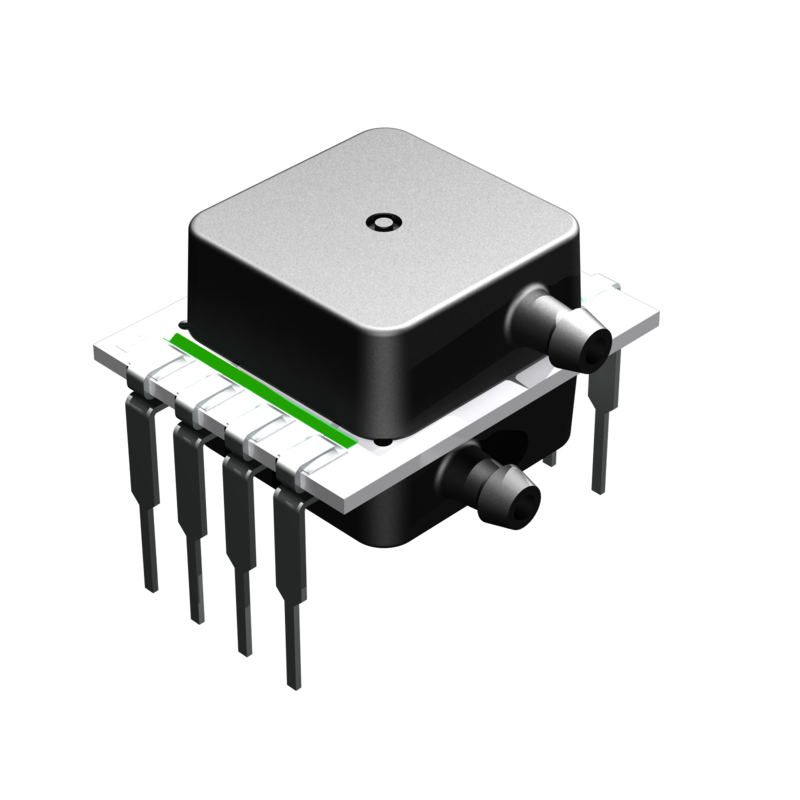 Selecting a specific sensor provides a list of key parameters for a standard product and you have the option of modifying parameters to create a custom sensor. For ease of availability, the best choice is the standard device. This leads to screen with an ADC and amplifier selected for the sensor and additional information as shown below. 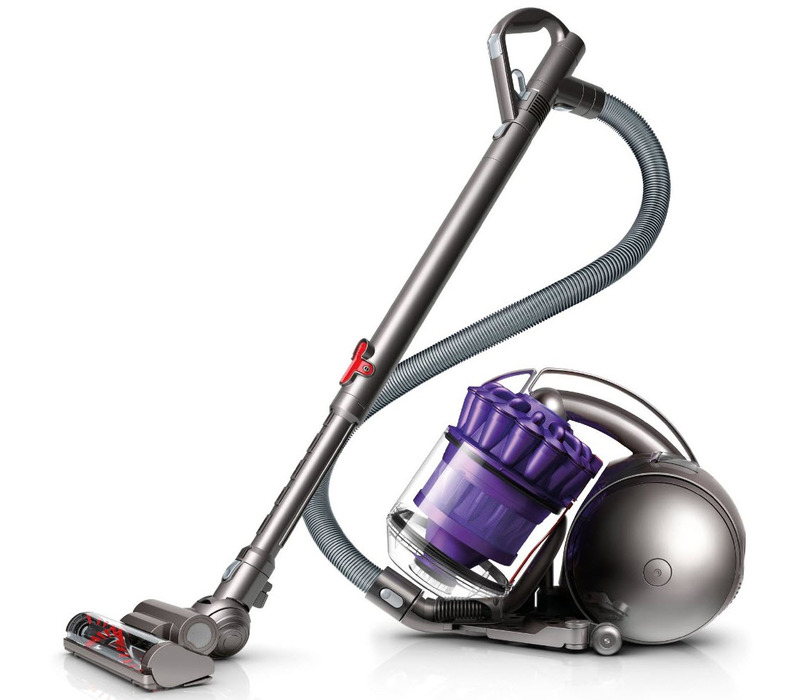 However, you have the ability to modify many of the design parameters. Once you are satisfied with your choices, you even have the ability to obtain documentation and a prototyping kit. 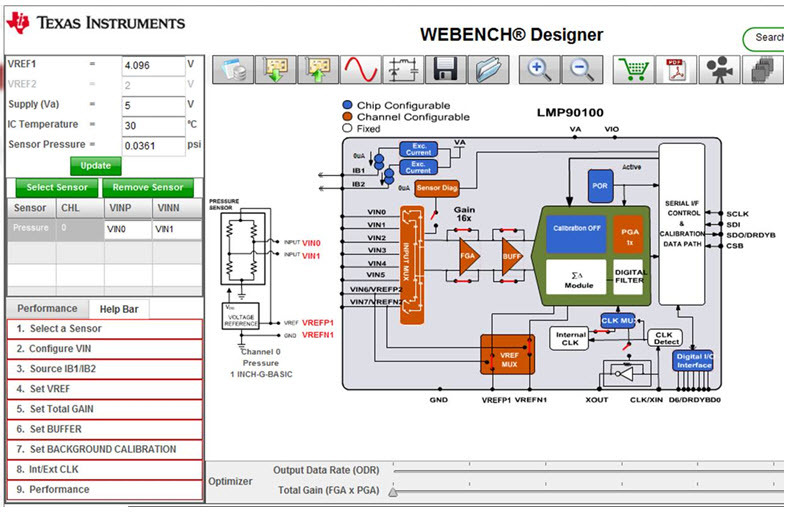 WEBENCH provides sensor system designers a great starting point, design options and a simplified path to evaluating system performance.